Moving to a new home can be an exciting experience! Unfortunately, for some new homeowners, there is a possibility that they purchased a home that has a basement that is prone to flooding. The signs of water damage can be subtle, and if you don’t have any previous experience as a homeowner you may not know what signs to look for. Even home inspectors have been known to overlook the signs of a water prone basement. Sometimes it takes a heavy rainstorm before the signs become apparent. With the continued increase in global temperatures, it is not surprising to discover that extreme rainfall and sudden downpours have been reported more often. Severe weather alerts are becoming more common in areas that don’t experience a ton of rainfall. Even basements with sump pumps can suffer from water damage when heavy rainstorms strike. The fast downpour of rainwater can overwhelm the system causing it to backup or malfunction. Even “watertight” homes can suffer from cracks in the walls or foundation as it becomes battered with rain. Fun fact: Clogged gutters and damaged drain spouts are a common culprit to foundation damage. 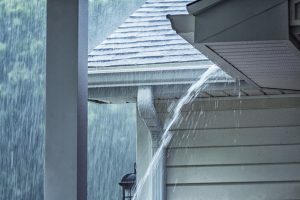 Clogged gutters and damaged drain spouts allow excess water runoff to seep into the ground near your home’s foundation. Clogged gutters have also been known to cause water damage to the roof, and potentially the attics within a home. Once water enters your Gilbert home it can become a problem. If the source of the water leak isn’t resolved and the water damage sits for too long, it becomes a much bigger and expensive problem. A little water can go a long way. It’s not hard to see water damage when your basement carpets are wet and squishy, or when there are watermarks on the ceiling and walls. Something you may not know is that water can be quite sneaky and has a way of discreetly finding tiny cracks and crevices to seep into. Often times, the water can go unnoticed until it starts to deteriorate the materials in your home…or a musty odor starts to permeate the area and mold starts to take over. Paint on your walls or ceiling becomes discolored. A Musty odor fills the air. Painted walls start to peel. Wood floors start to warp and bow. You see a spike in your utility bill. Mold starts growing on the walls. So what if you have a few damp areas of drywall and carpeting? Throwing a couple fans in the room will dry the area right? Even with the help of fans, carpets, furniture, and drywall do not dry quickly or thoroughly enough to prevent mold growth. Not to mention that if you don’t resolve the source of the water damage, the water is just going to come back. New homeowners don’t want to deal with the headache of a wet basement. At Valleywide Restoration, we don’t blame you! Moving to a new home should be an exciting experience. 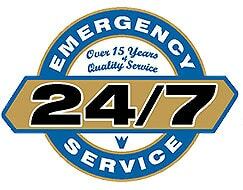 If you do discover water damage in your basement, contact a team of water damage cleanup professionals. We just so happen to know a great, local restoration company that can help you out (yes, that would be us)!